The members of the European Parliament’s Transport Committee on 04 March unanimously supported a provisional agreement to ensure the continuity of infrastructure investments and connectivity between Ireland and other EU countries in the event of no-deal Brexit. The agreement had been reached by French MEP Karima Delli in trilogue. The CPMR expressed its views when answering the consultation in September 2018. This agreement includes a greater number of ports of the Core Network in the new maritime link that a no-deal Brexit would demand. These ports include Dunkerque, the North Sea Port and athe port of Le Havre, which has not been included in the North Sea – Mediterranean Corridor before. Its inclusion creates a connection with the Atlantic corridor in Le Havre. The text voted by the MEPs also includes the possibility for infrastructure investments to support operations that a no-deal Brexit would make necessary in ports such as investments related to security measures and border control. This agreement is an improvement on the proposal published by the European Commission in August 2018 because it includes a greater number of ports, offering more connectivity possibilities to Ireland. However, these new maritime connections must be included in the annex for CEF2 to ensure sufficient visibility to the actors of the sector. The CPMR is also calling on the European Commission to pay special attention to the evolution of flows between Ireland and continental Europe. 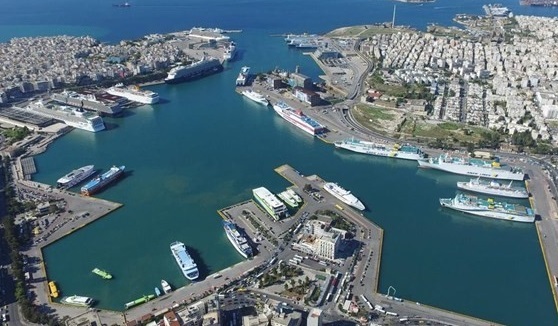 In addition to the proposed re-alignment of the North Sea / Mediterranean corridor, the European Commission could propose modifications of networks and priority sections to adapt the existing tools to the need for maritime connections. Such modification should capitalise upon existing maritime links, including those with ports in the comprehensive network, and should be paired with stronger support to the Motorways of the Sea (MoS). With the TEN-t revision coming, the CPMR will pay particular attention to the legislative evolutions the impact of Brexit demands, whether there is a Brexit deal or not. Debate in the European Parliament’s plenary is foreseen on 13 March 2019.